Drug-resistant tuberculosis (DR-TB) patients in India face delayed diagnoses, different treatment pathways from both public and private health care systems and differing costs for the same treatments from different providers in an unregulated private health care sector, says a January 2019 study published in Public Library of Science (PLOS), a scientific journal. 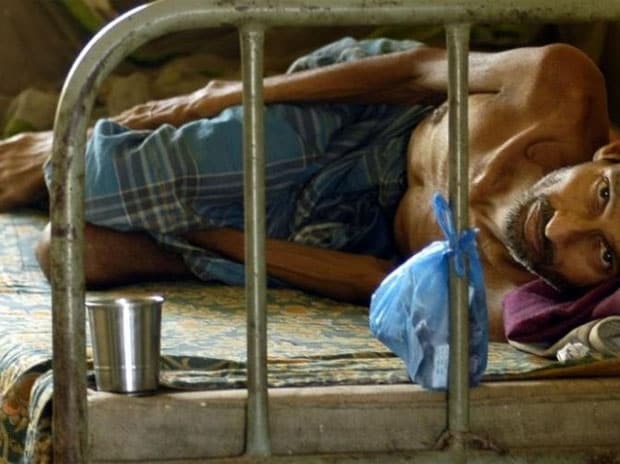 In 2017, India had the world’s highest share (27%) and over a quarter of all TB cases globally, 2.7 million, and accounted for 32% (421,000) of deaths due to the disease--nearly a third of all TB deaths--as IndiaSpend reported in January, 2019. An estimated 2.79 million TB patients have added annually, according to the ministry of health and family welfare’s National Anti-Tuberculosis Drug Resistance Survey, 2016. India also has the highest share (24%) of drug-resistant TB cases, i.e. patients resistant to one or more first line drugs used to treat the more common, drug-sensitive TB. India had around 135,000 DR-TB patients in 2017--of whom 124,200 (92%) had multi-drug resistant TB. Among the latter, 31,547 (25.4%) had pre extensively drug-resistant (XDR) and 1,615 (1.3%) were XDR-TB patients, according to the PLOS study. Only 39,009 or 28% of DR-TB cases were diagnosed and only 35,950 or 26% were treated in India in 2017, leaving a large diagnosis and treatment gap, IndiaSpend reported. Large metropolitan cities such as Mumbai have the lion’s share of DR-TB cases, according to the Central TB Division’s India TB Report 2018. This is mainly because almost 42% of Mumbai’s 12.4 million people live in congested conditions in slums, according to Census 2011, with poor access to healthcare facilities. These large cities also have sizeable numbers of health care providers and diagnostic facilities, and approaches to both treatment and costs vary among these. India faces a dual challenge of treating increasing numbers of DR-TB cases and regulating private treatment facilities, says the PLOS study, aimed at highlighting the problems DR-TB patients face while seeking treatment. To understand reasons for delays in TB diagnosis, PLOS undertook a survey among 46 DR-TB patients in Mumbai to examine their health seeking behaviour (HSB). Assessing HSB is increasingly recognised as an important tool for understanding people’s preferences and decision-making with regard to health care and the timing of seeking treatment across various health conditions, according to the PLOS study. Understanding HSB is essential to align public health practice and health service delivery models for better outcomes, says the study. PLOS examined the treatment options, or pathways, that DR-TB patients pursued to define their HSB. Many of the patients interviewed knew of others affected by TB, in their neighbourhoods, workplaces and families. However, they lacked awareness about recognising symptoms and prompt health-seeking. Stigma around the disease also contributed to leaving patients in a situation of denial, fear and a feeling of powerlessness, said the study. Common symptoms like cough, fever, fatigue and loss of appetite did not trigger suspicions among patients that they could have TB. Even patients previously treated for TB were not alerted to the disease’s presence by such symptoms. One patient thought her symptoms of cough, breathlessness and loss of appetite were mainly due to venturing outdoors in the rain. She was diagnosed with TB only on visiting a doctor. Another patient interviewed was diagnosed with TB in 2014. He had taken the cough and mild fever which began during the previous winter, to be symptoms of common cold. Some patients who had contracted TB previously reported being afraid to admit to themselves that they could have contracted the disease again, for fear of going through the experience of treatment again, the study observed. Patient’s chosen TB care pathways almost always began with a neighbourhood health care service, which could be an unregistered practitioner, a municipal health centre, a private allopathic doctor or a practitioner of alternatives medicine such as ayurveda, yoga, unani, siddha or homeopathy (AYUSH), found the study. This was largely due to convenience and was the normative HSB in their community. Patients preferred going to the neighbourhood private clinic for its familiarity and convenience since these clinics were open in the evening after work hours, were more accessible and were easy to use, compared to government facilities. Early symptoms of TB which were not severe, were most often seen as ‘ordinary’. It was normal for patients with such ‘ordinary’ symptoms to visit the family doctor nearby to seek treatment. Patients said going to municipal facilities cost money and took up an entire day. We need to go early in the morning to visit the municipal secondary care hospital, where they give us two tablets and ask us to visit again the next day, but an auto rickshaw to the hospital costs Rs 70-80 one way, said a patient. “If you see the pathways and the distances travelled, the patients who are symptomatic first approach the provider who is closest to home, so that travel is less. They expect their symptoms to be relieved, be it in the public sector or the private sector. But usually there is a lack of facilities and poor infrastructure available locally, where the person resides,” Yatin Dholakia, co-author of the report, told IndiaSpend. “The provider first approached should be knowledgeable and trained, aware of what diagnostic algorithms are currently being followed,” said Dholakia. Fifty-five percent of the patients interviewed faced delayed diagnosis. Health care providers spent six minutes on average with patients and their history-taking was sketchy, which lengthened the time between first seeking care and diagnosis. These delays could have been avoided if these providers had spent a little more time with patients, taken detailed case histories and looked for symptoms of TB among patients who came from high TB burden localities, said the PLOS study. Patients also had to visit several providers/health facilities and laboratories before getting a diagnosis. A doctor who had already treated one patient for TB, failed to suspect that she was suffering from TB again. It was only after almost a year involving several visits to public sector facilities that she was diagnosed with XDR-TB. “For the patients interviewed, the average time taken to diagnose and initiate DR-TB treatment was 87 days. The shortest duration was one month and longest around eight months. For drug-sensitive TB, the duration ranged from 28 to 42 days depending on the previous history of TB and treatment,” Dholakia told IndiaSpend. Patients interviewed also expressed faith in the public health system. “The government has done extensive research on TB and there are medicines which cure TB. It (TB) is no longer a threat,” the parents of one patient were quoted by the study as saying. No two patients from the same geographical area had similar avenues of treatment, even if they had started and finished treatment at the same facilities, the study found. Some patients had changed providers because they did not get better in two or three days. In several cases, patients switched providers because they did not have the patience to wait or the luxury of time for getting better. They needed to go back to work, show up for family events in native villages, or attend school and prepare for exams. They hoped the next doctor would give them ‘stronger’ medicines to make them better, the study said. At times, providers were changed due to a lack of clear communication about the need for a particular test or medicine, or the need for follow-up after completion of prescribed treatment. In such situations, the patients had assumed that the doctor’s treatment had failed and hence had switched to another. Sometimes, patients were forced to change providers because they could not afford the cost of the tests advised or the medicines prescribed. Diagnosis and treatment processes were often circuitous, which confused patients. They did not understand why they were made to undergo the same tests at different places and at different times, were referred to different facilities and subjected to changes in their treatment in their extremely weakened state. To minimise patient movement between providers and thus promote patient adherence, referral systems need to be redesigned, said the study. This would involve simplifying processes in the diagnosis and treatment of DR-TB. The Municipal Corporation of Greater Mumbai (MCGM) decided to integrate the private sector for effective treatment of TB and hence started the Public Private Interface Agencies (PPIA) in 2014. Patients in Mumbai often chose to go to a specific facility for ease of navigation and convenience. However all the providers and facilities accessed by the patients from a particular area did not function as part of the integrated system. This was because the PPIA had brought in only 41% of the mapped doctors and chemists in the wards it was implemented in, into its network. One patient’s private provider was a part of the PPIA network, hence he was diagnosed with DR-TB and referred to the correct public sector facility within a month. But for another patient, it took six months for him to be diagnosed with XDR-TB, after visiting six different providers and various facilities. Patients also faced dilemmas of costs and payments, as no two facilities operated similarly. For example, directly approaching a private laboratory for diagnostic tests cost money, but going through the MCGM’s PPIA network made tests free, or subsidised, depending on the tests. Patients had no access to clear information about which facilities or providers served patients free or at subsidised rates. Many patients being treated for DR-TB in the private sector had to stop treatment or move to the public sector, as they could not afford the treatment. In some cases, the provider warned patients after they were diagnosed with DR-TB that it would be better to move to the public sector to receive free treatment. “I was spending Rs 4,000 on medicines on a regular basis. I had come from the village and did not have so much money. After this someone suggested I go to government facilities where I will get free treatment,” the study quoted one patient as saying. “We have not assessed the costs to the patients. However the cost of diagnosis of DR-TB ranges from Rs 2,500 to Rs 18,000, depending on the tests done. Additionally, periodic tests, x-rays and doctors’ consultation fees need to be considered. Incidental travel and nutrition supplement costs and medicines for management of adverse drug events and reactions need to be taken into account,” says Dholakia. “If facilities are placed under one roof close to residential areas, and if doctors are trained in appropriate diagnosis and treatment management tools, it would bring down costs for patients. The government does not support travel costs for patients,” he added. When asked whether the patterns found in this study were representative of the situation in all of India, Dholakia said, “Wherever there is a large [unregulated] private sector, there is a delay in diagnosis. Unless these private sectors are involved in Public Private Mix Programs, where the government or public health system sensitises them to the problem of TB, and talks to them about the various facilities available under government programs, there will be problems. This is true for other countries also and not only for India,” says Dholakia. “This study, along with similar studies published previously all point to the same key messages and tortuous pathways DR-TB patients navigate. The pattern is much worse with drug-resistant TB, which is harder to diagnose and treat,” Prof Madhukar Pai, professor of epidemiology at McGill University in Montreal, told IndiaSpend. “Since nearly 80% of Indians seek private/informal healthcare, India cannot end TB without engaging with this large, dominant private health sector. The experience in Mumbai, Patna and Mehsana suggests that private providers can be successfully engaged to improve quality of TB care, and to link privately treated patients with free government goods (e.g. including drugs) and benefits (e.g. nutrition supplements). India needs to scale up such private provider engagement models, increase notifications (of TB diagnoses) from the private sector, and improve quality of care in the private sector,” says Pai.